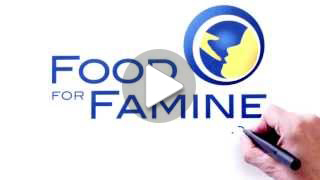 Watch the video that inspired Maria Martini, Director of Food For Famine to educate the world and supply RUTF throughout the developing world. A video not to be missed. Watch the video of RUTF (Ready-to-Use Therapeutic Food) fortified peanut paste that’s been carefully formulated to provide all of a child’s basic nutritional needs.